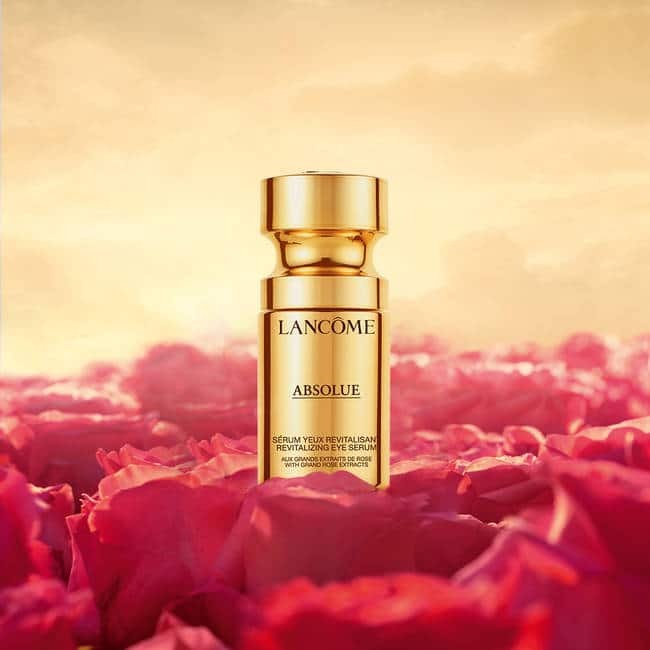 Harnessing the vitality of the Lancôme Rose, Absolue contains Rose Native Cells for the exceptional collection. The rejuvenating eye cream targets the delicate skin around the eyes, one of the face’s most expressive features. It reveals eye contours that look rested and rejuvenated for radiant, younger-looking skin. In just four hours, skin feels suppler and revitalized. After one week, skin feels tighter. In four weeks, signs of fatigue appear diminished, skin is denser and looks rejuvenated, with improved skin’s surface cell renewal. A fresh, indulgent anti-ageing serum that reveals a visibly smoother and rested eye contour for a brighter look. Made with an exclusive blend of Grand Rose Extracts, this revitalizing eye serum targets the delicate skin around the eyes, one of the face’s most expressive features. Immediately after use, skin looks fresher and feels hydrated, velvety to the touch. After one week, dark circles look visibly reduced and skin looks smoother, more radiant, even, and replumped. Fine lines on eye contour look smoothed and under-eye wrinkles look visibly reduced in just four weeks! 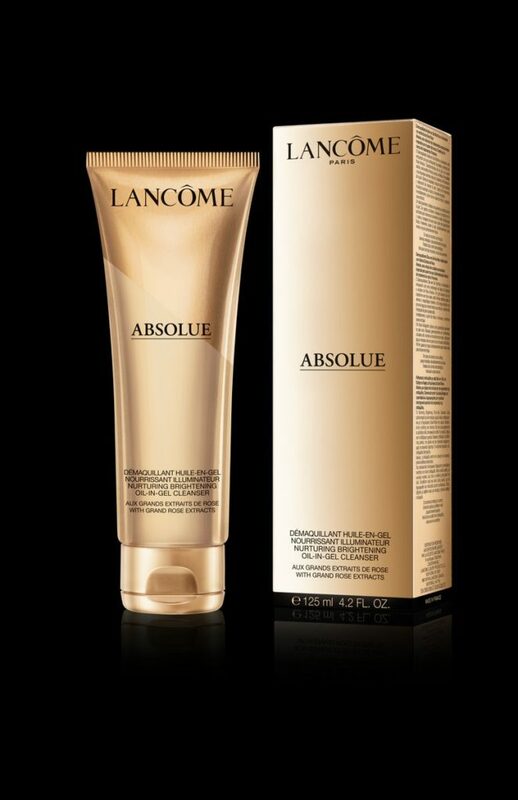 Absolue Cleansing Foam is infused with Grand Rose Extract 3 roses: Lancôme Rose™, Centifolia Rose and Rose Damascena. An unctuous gel that transforms into lightly-foaming milk, this comforting formula gently cleanses while preserving skin’s moisture barrier. Impurities, sweat and pollution dust are lifted without drying the skin. Refines skin texture and clarifies the complexion. Skin looks pure, refreshed, smooth and radiant. First created in 25 years ago, the renewed Rénergie cater the active women today to get that wrinkle-free and firm skin through the friendly and soothing gel texture. 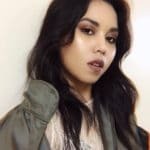 Using gel as its main texture for the skincare line, it helps every skin type to savor the benefits of active ingredients that precisely target the needs of women who don’t want to compromise – neither on performance nor on pleasure. From sensitive to oily skin, you can enjoy the targeted skincare products that will effectively soothe, strengthens weakened skin, and a tautening mask that redefines facial contours. Inspired by today’s woman desires to maintain youthfulness and radiance through various cosmetic procedures such as laser, Lancôme launches the Rénergie Multi-Cica range – intentionally fragrance-free to suit the needs of more sensitive skins – with Rénergie Multi-Cica Gel Apaisant, designed to refresh and relieve fragile and reddened skin, and Rénergie Multi-Cica Crème, a daily ally for restoring the cutaneous barrier and combating signs of aging. Designed to restore the balance of the cutaneous barrier, this daily intensive cream also combines the anti-wrinkle and firmness properties that define the Rénergie range. 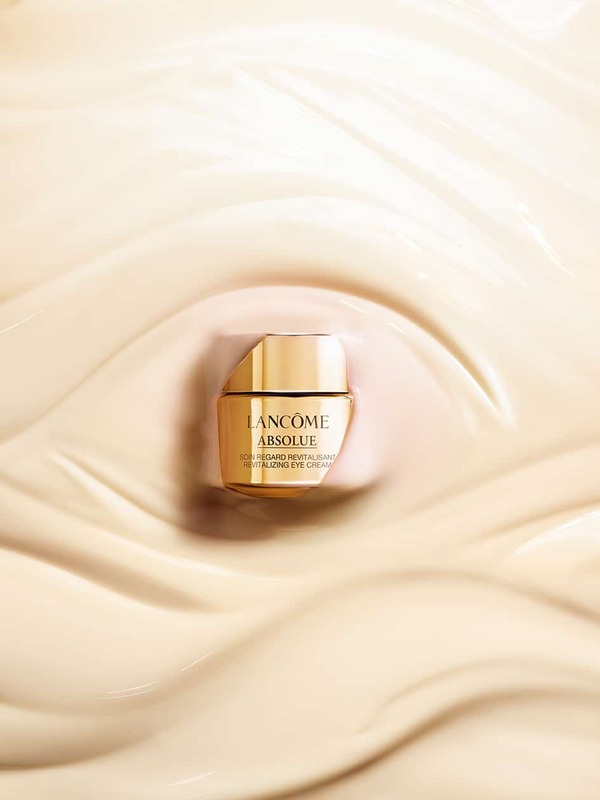 Rénergie Multi-Lift Crème has become a cult product for women around the world, with its mission to restore tightness to skin, smooth wrinkles, and recontour facial outlines. 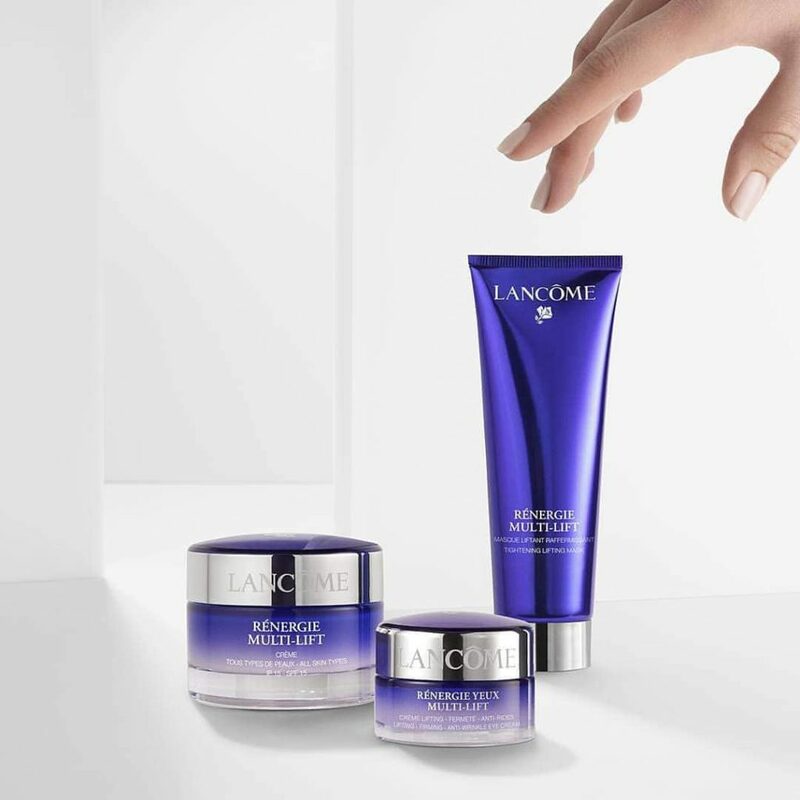 Now, Lancôme is bringing out the complementary Rénergie Multi-Lift Masque, skincare that offers firmer skin and increased definition of the features and curves of the face. Its innovative texture incorporates a new technology that allows the formula to be made up of no less than 17% waxes. This perfect balance between beeswax and carnauba wax results in an amazing “corset” effect – a strong tautening that remodels features during sleep. The L’Absolu Milky Fusion collection embodies the ultimate fusion of custom-tinted colour and care, with smooth and creamy textures for effortless looking lips. 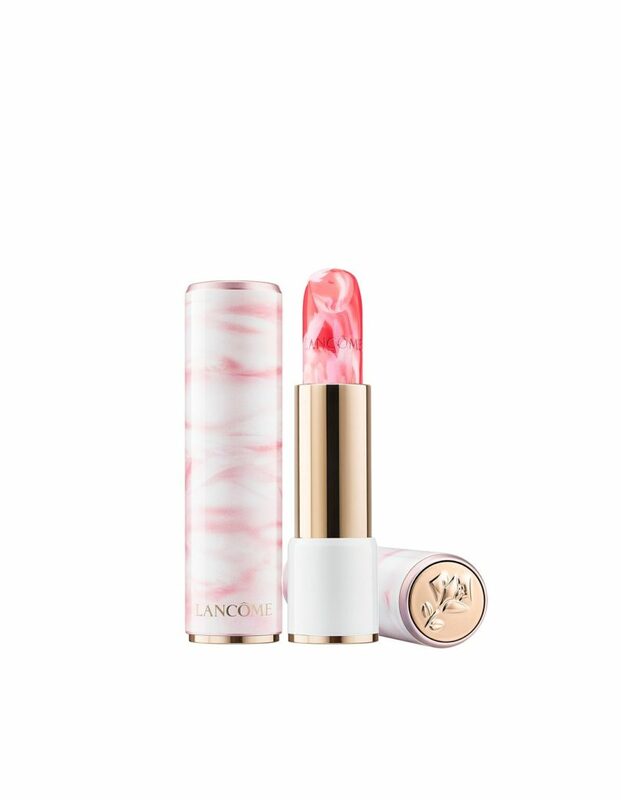 This new collection’s soothing properties ensure it stays true to one of the most valuable qualities of Lancôme’s iconic L’Absolu Rouge lipstick: its ability to deliver the highest level of comfort with exceptional make-up results.